Nordigen has helped European lender Creditstar achieve an 8.4 percentage point GINI improvement in Poland. In 2017, online lending platform Creditstar Group AS sought to improve their scorecards in Poland in order to increase loan approval rates and decrease defaults. The lender's biggest challenge was understanding the spending behaviours of their so-called 'thin-file' customers or clients with incomplete or non-existing credit histories. Creditstar's Data Science team undertook the task of testing Nordigen's transaction categorization and behavioural scoring engines to determine whether Nordigen's solution improved the overall accuracy of Creditstar's scorecards. After comparing credit scoring model performance with variables Creditstar used before and after integrating with Nordigen, Creditstar reported that Nordigen's transaction categorization helped them improve their scorecard accuracy and increase their GINI by 8.4 percentage points. “Progress requires innovation and we're incredibly proud to support Creditstar on their mission to improve people’s lives by providing seamless financial services by adopting the latest financial technology.” adds Nordigen CEO Rolands Mesters. 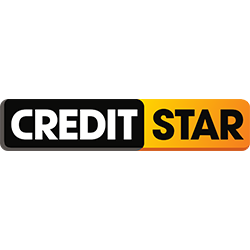 Creditstar is one of Europe's leading non-bank lenders with over 500,000 registered customer accounts across 8 countries, including Poland, Sweden, Spain, Finland. and the United Kingdom. Creditstar was founded in 2006 in Estonia, where it still has its headquarters. Creditstar uses automated processes, algorithms and data analysis to make financial products easily available to a population of more than 175 million people in their target markets. Want to test how Nordigen's account analytics solution can help your bank or lender improve credit decision-making speed and accuracy? Get in touch via info@nordigen.com and our experts will get back to you!